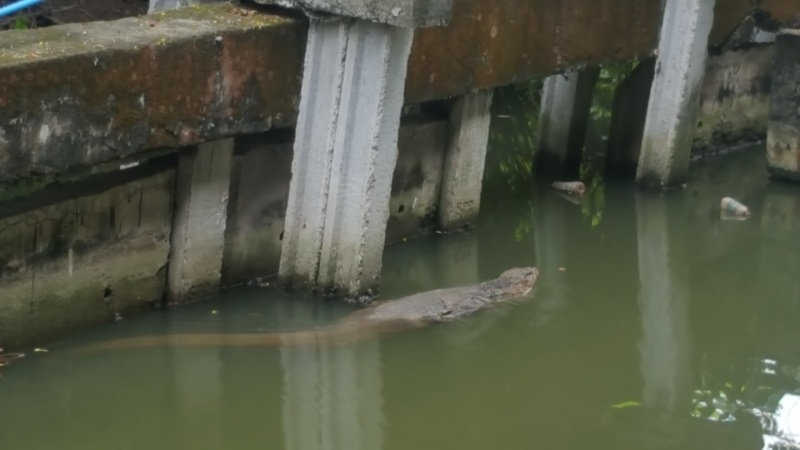 So it was back in Thailand for us. 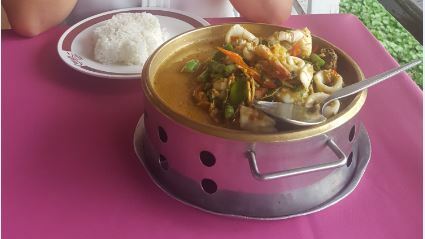 More specifically Salaya which is actually just outside of Bangkok’s province. I prefer Salaya to Central Bangkok. I think many Thais in Bangkok have lost their ‘Thainess’. Always asking for a tip from a foreigner and marking up the prices to whatever they can for what a foreigner will pay. Living in Salaya has taught me one valuable lesson; us foreigners get seriously ripped off in Bangkok, particularly the bar areas. The costs which we pay are nowhere near what a Thai pays and in this trip report are a few examples. Salaya is quiet and out-of-the-way. I was the only farang in the condo building until this trip where I saw another older farang with his tiirak. Downstairs is a small eatery run by a Thai. He runs the place by himself and was a qualified chef working in his own restaurant in America. His food is seriously top-notch. I’ve never tasted chicken fried rice as nice as his. Now, you’d think he’d be charging an arm and a leg for his dishes. But for a price of 47 baht I get a plate of chicken fried rice and a drink. If someone can match that price in Bangkok and produce the same quality, I will stand corrected. If not, then I reiterate that we foreigners are seriously getting milled in Bangkok! What I like about Salaya is that tipping anywhere isn’t expected. In fact my Mrs. frowns upon it. If you like the food, then sure, leave a few baht but if we all tipped in the area then prices would steadily go up and how would the locals who live on a budget feel if prices went up because foreigners started coming in tipping everywhere like 2-week millionaires? The area is growing in popularity with the MRT lines proposed to being built in the next 2 to 5 years connecting Salaya to central Bangkok. I will be pleased when this happens as my other half wants to buy a house in this area and it becomes a little bit tiresome when you have to catch a taxi to get to the nearest BTS station of Bang Wa which is 20 – 25 minutes away. 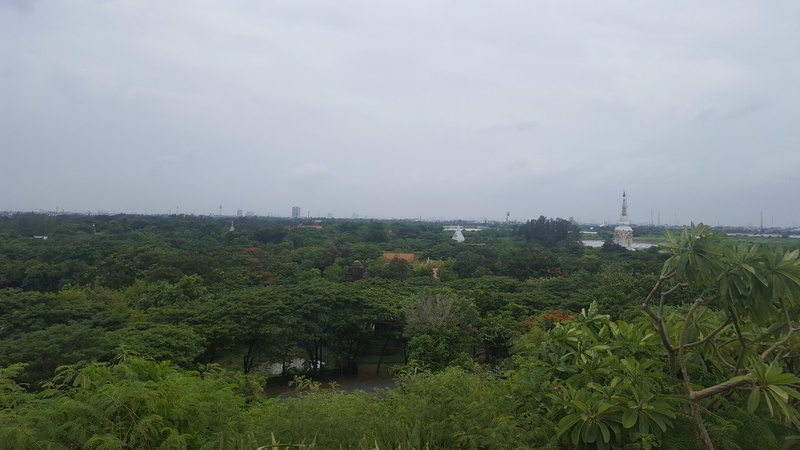 There is a lot more vegetation and greenery in the area with the outer suburbs of Bangkok now being a few kms away and the tall sky risers nowhere to be seen. With the extra greenery there are some really nice cafes and restaurants which are very secluded. 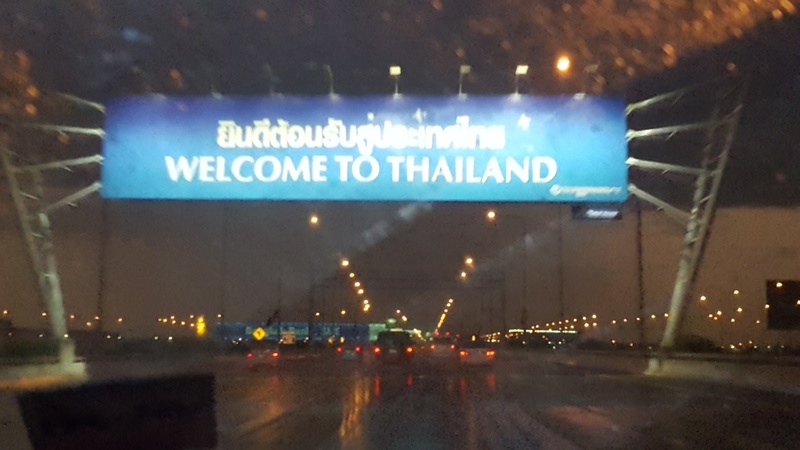 Very few foreigners make it this far outside of Bangkok unless they’re on a tour. 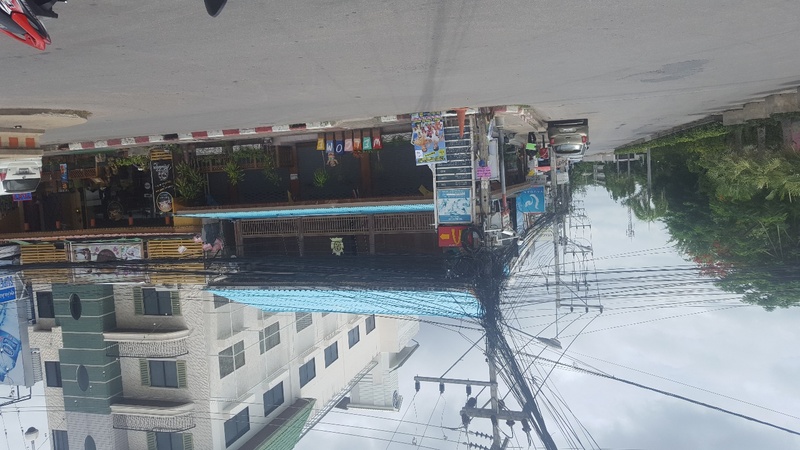 I see very few farangs around and many times in Central Salaya shopping centre I am the only farang there. The Mrs. had to go to Hua Hin for work so I tagged along with her. We spent one night there. There are actually heaps of condos for rent, especially during the week as heaps of Thais rent their condos out during the week days whilst they’re in Bangkok. 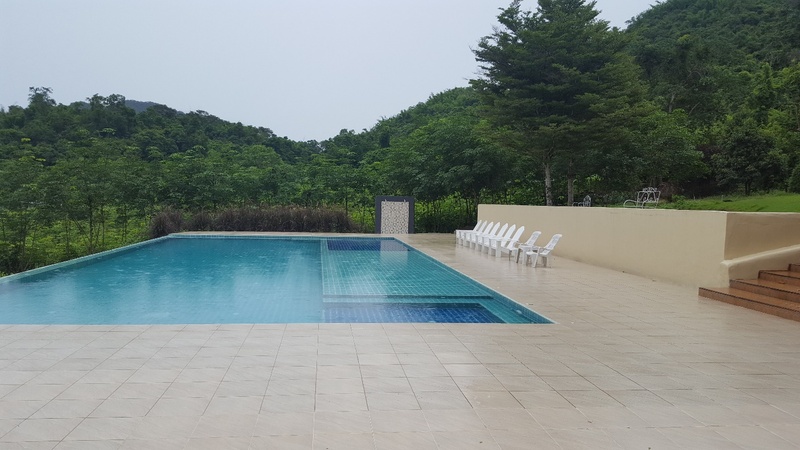 We rented this one on the main road of Phet Kasem road just past soi 106. It’s a bit of a walk to central Hua Hin but nothing that a 50 baht motorcycle taxi ride can’t fix… It even had a pool! I am an early riser and by 10:30 AM the next day I had checked out of the condo with my Mrs. already left for work. I had the day to spend before meeting up with the Mrs. in the evening. The first thing I said to myself when I got to central Hua Hin was: Where did all the people go? Now I know it’s not even midday, but it seemed like either the town was asleep or there were simply no tourists….. It was reasonably quiet and venturing out into the few shops and in and out of the streets I really was struggling to find tourists. I can’t say if it was like this every day. The night we drove in to Hua Hin we only went to one restaurant for dinner and then straight to the condo but even then I remember only a few tourists around compared to previous visits. 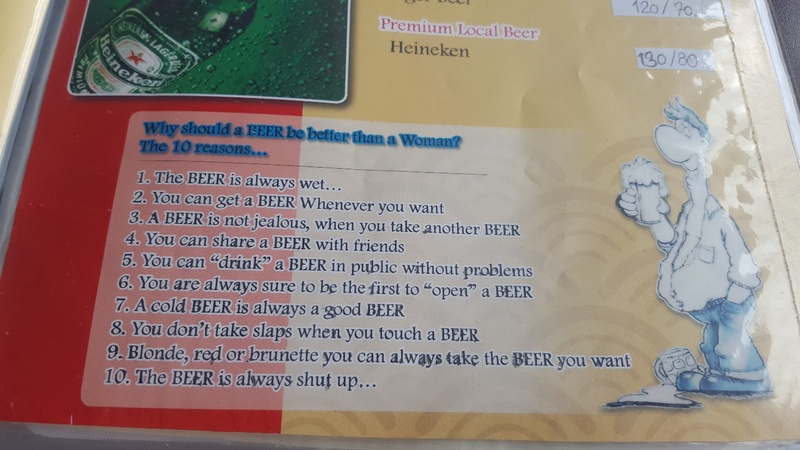 Some light humour at the end of the menu…. We caught up and watched the England vs. Croatia game. Now at this point, I will mention that part of the reason I chose to take my holiday at this time of year is because of the World Cup. I’ve been following every World Cup since 1994 and this World Cup, for me at least, would have to be the most interesting in my generation. Firstly; Italy, Holland and Chile – 3 big soccer nations who usually dominate the competition didn’t even qualify. Secondly, teams like Germany and Argentina didn’t perform well this time around and to top it off even more, the other big nations such as Brazil were knocked out before the semi-finals. The final between France and Croatia was one–sided but set up a scenario where a country of 4 million people could have potentially gone all the way! Pity about the Aussies not winning a game. From what I saw I think the tournament was well organised by the Russians. I say bring on 2022 in Qatar! The girls are one issue. But to go for the eye candy, yes I agree it’s there! The other issue is the price of drinks. So a standard mixed drink is around 180 – 220 baht in many bars. Let’s see, that’s $7.5 – $9.10 in AUD exchange rates. That’s not cheap by any means. Ok, so the bar needs to make a profit, but please don’t tell me drinking in the bars is significantly cheaper than your home country. Maybe a better vibe, perhaps, though that argument is there to be had especially with the old-timers who stand up and say there’s no vibe compared to the old days. Now what really gets me is the cost of water in these bars which is 150 baht. 150 baht for a water but 180 baht for a standard alcoholic drink….? How is that even possible? I did tell the mamasan that the brand of water they gave me could be bought for 7 baht at the 7 Eleven around the corner. And another brand with the same quantity could be bought for 5 baht. 7 baht vs 150. So they’re making a 21 times mark-up…. Yes I know it’s a bar and all that, but the price of water is ridiculous. There is the argument that it is a bar and the utilities and rent is high, so if I don’t want to pay it – I shouldn’t be in the bar. Yep, 100% correct, hence why I don’t frequent them except on the odd occasion I am out with a mate. I don’t understand how people on average Western salaries could afford to frequent these establishments night after night unless they’re ‘two-week millionaires’. Long term it would completely drain your wallet. Apart from Nana, I did make it up to Oskar in soi 11 for a drink. Very pretentious. Seems like the ‘hip’ crowd all wanting to be seen in a ‘hip’ place. I was outside at one point making a phone call and the waitress was standing nearby. I asked her if she was ‘Buea mai’? Her reply was ‘Buea maak’. Yep, completely agree with you there, I’m a customer and even I’m buea…! Since we were there my mate dragged me to the Thermae which is walking distance away. Out of curiosity I went with him as I’d never been before. Everyone saying it was the place to be in Bangkok’s heyday. OMG was all I could say when I walked in. Everyone standing around….. It’s a little strange the way the whole set up works. When you first enter in you practically get screamed at by the doorman to ‘Buy drink’. Once a drink is purchased a stroll around will quickly tell us Westerners that we’re unwanted. It’s full of Japanese and Koreans and that’s what the market wants on both sides of the business transaction. My mate had one genuine interest and I couldn’t help but feel it was because she looked more Isaan – dark skin, black hair, thin, etc. than the typical Chinese look the Koreans and Japanese go for. 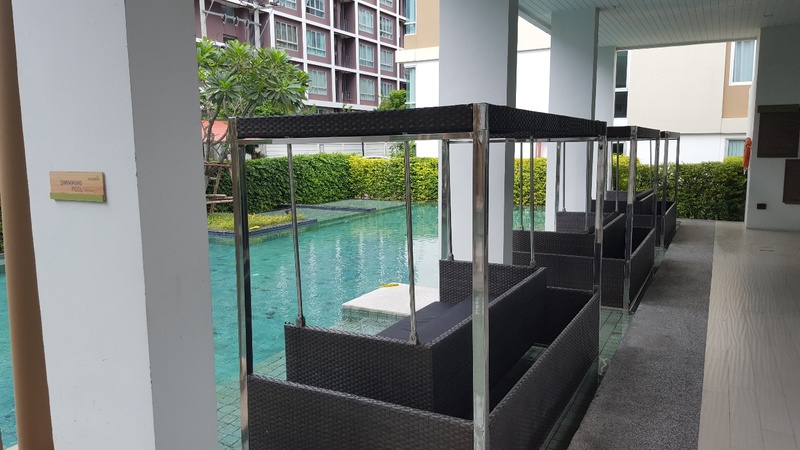 Outside the bar scene, I did catch a movie at Siam Paragon and on one floor I walked past a condo complex which was selling condos in Soi 11 Sukhumvit starting at 11 million baht. Excuse me? I had to double-check the price. Yep, 11 million baht. 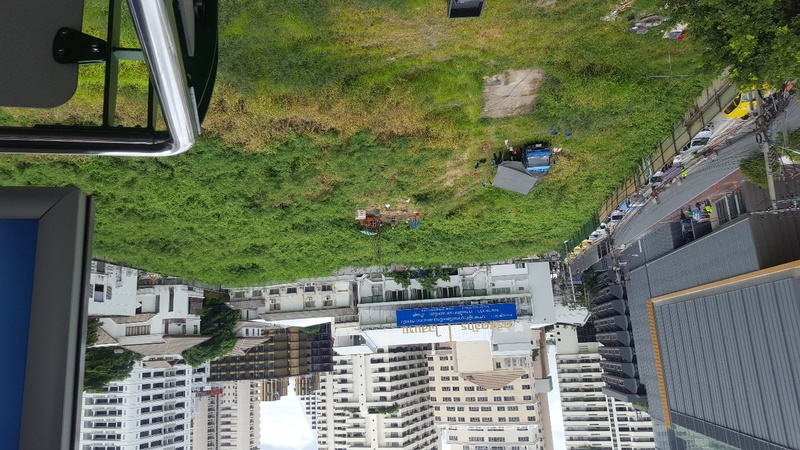 Ok, so it’s on the Sukhumvit line and the condo is brand new and we are talking about central Bangkok, but I struggle to justify spending 11 million on a place where right outside your building the wires look like birds nests, the streets smell of that combination of sewerage and garbage, the air is polluted and the streets are gridlocked night and day. We found more of the same stuff sold everywhere in Thailand and the place really didn’t do it for me. My Mrs. felt the same. Samut Prakan really is a nice area. 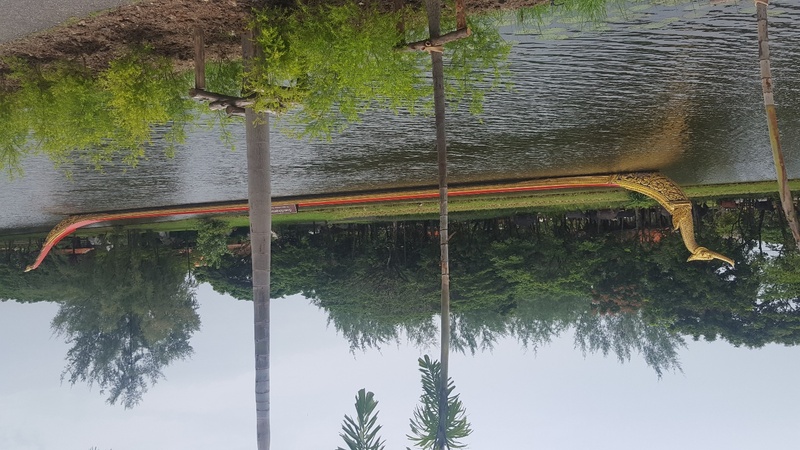 It’s hard to imagine it’s just across the river from Bangkok but the place has trees and vegetation everywhere, I even had to double-check the map to actually confirm Bangkok city was so close to us! There’s a lot of parks and cafes in the area which are very nice to visit. 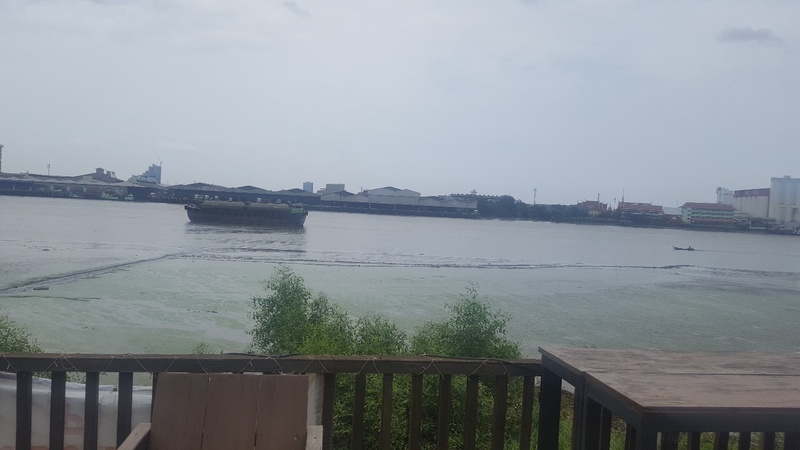 The only drawback is they want to preserve the area and in doing so bike riding is a must to get anywhere as they don’t want to turn it into a concrete jungle resembling whats across the river. A motorbike can be used for transport but is not the norm. 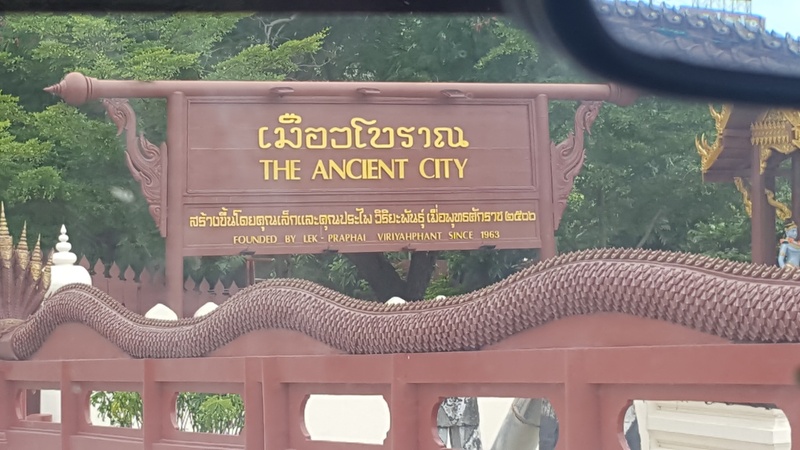 Another place I got to visit was Ancient City. 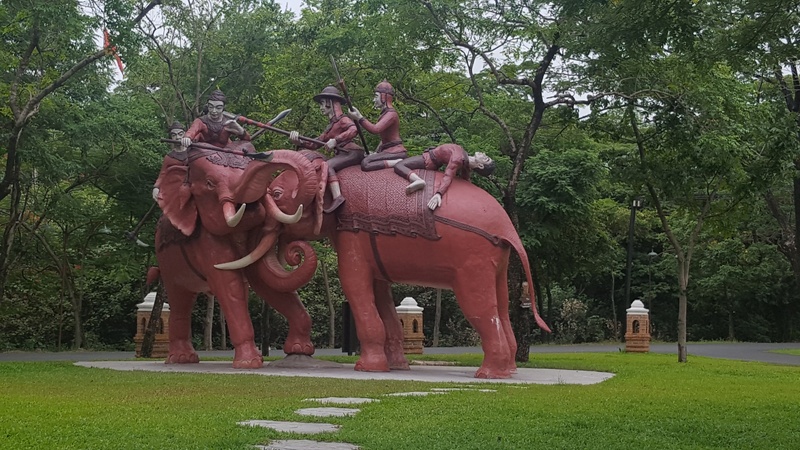 This is also in the region of Samut Prakan and is on Sukhumvit Road just near the end of the Sukhumvit line. 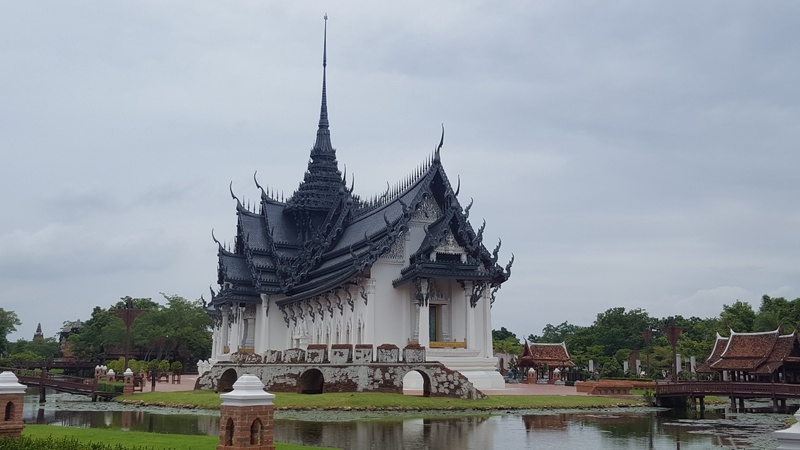 The place is unique in that it replicates many buildings around Thailand and also its neighbours and gives a brief history of each. I went with my Mrs.’ colleague who is an admirer or architecture. I’d recommend bike riding as every building is a bit of a distance and is a lot more comfortable bike riding than walking. It’s very well mapped out. The highlight would have to be the replica they have at Angkor Wat, Cambodia. When climbing to the top you can see the city of Bangkok in the distance. Great place for a visit. We spent closer to half a day and could probably spend all day if I was a little fitter. Unfortunately the heat got the better of us and we called it quits after around 4 hours of sightseeing. I was lucky enough to have a person with me who admires the architecture and history of the region and as a bonus was also a local. I would have never known about the place. Definitely worth a visit if you don’t know what to do and would like to get out of Bangkok city for the day. 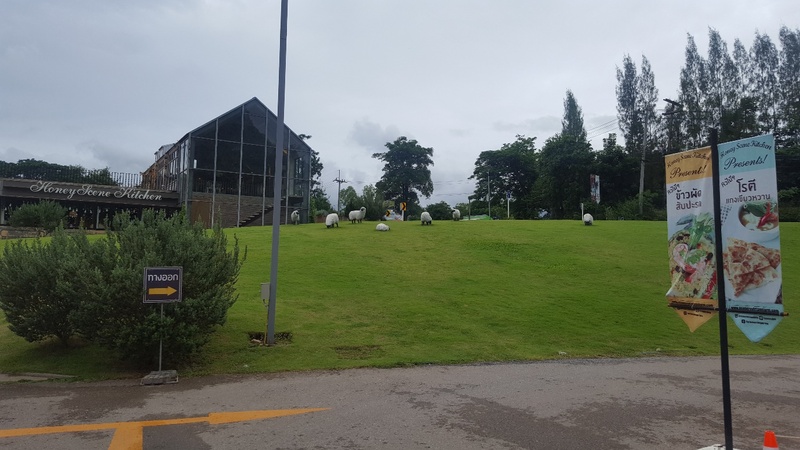 It was another business trip for my Mrs and this time to Ratchaburi. I’d never been there before and I found out it was a great getaway if you really want to spend some time in a forest and completely away from the chaos of Bangkok. 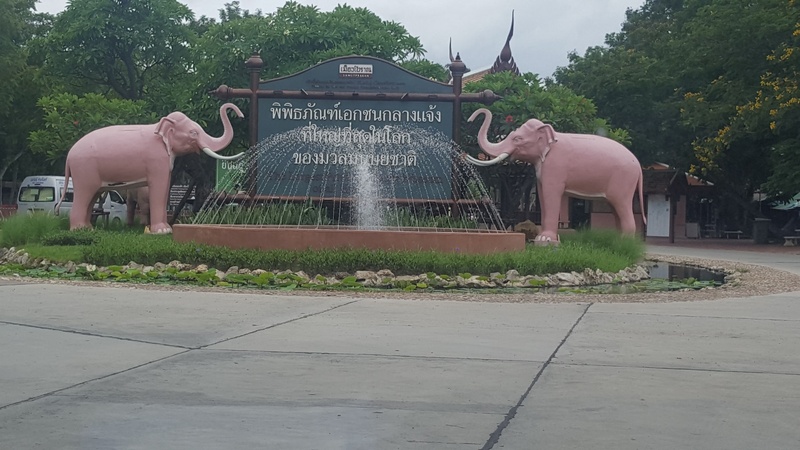 Ratchaburi is about 3 hours from Bangkok, but around 2 hours if you live on the Western side of Bangkok. It’s a place which borders Burma. 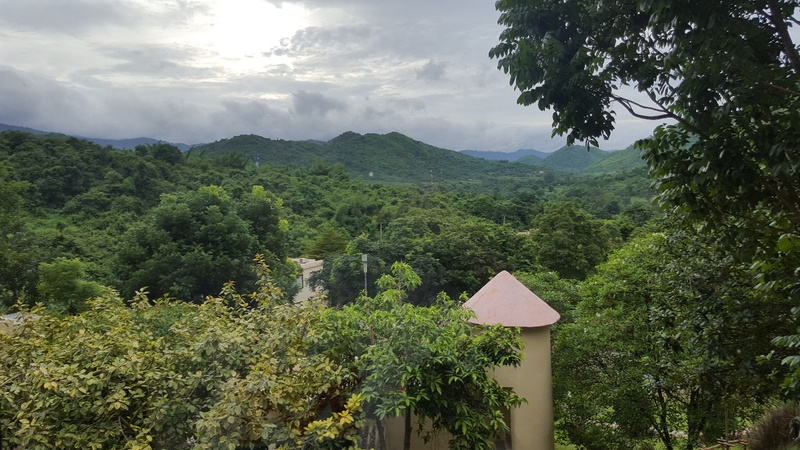 The place we stayed at was 50 kms away from the border to Burma and not surprisingly, both of us thought a lot of the unskilled labour used around the region were from Burma. How many of these are illegals, I wouldn’t know. We stayed at the ‘Hi-Scene Resort’. Highly recommend it and the rates are very reasonable. Being up in the hills, you will get chilly mornings. But never too cold to take a dip in the pool! 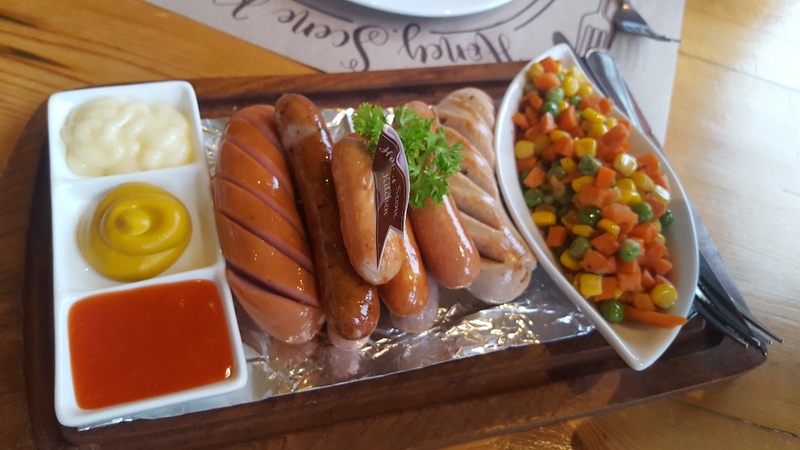 There’s also the Honey Scene Eatery which is a 10-minute drive away. A Swiss restaurant attached to a farm. Highly recommend the food. It’s a nice little getaway especially if you want to unwind and relax. I can’t believe it’s so quiet here being only 3 hours away from Bangkok…..! My trip was coming to an end. I flew via Singapore back to Melbourne.